← Your Winter Break Weekend! After a long day of travel out to Hays, Kansas, Tuesday was our first real opportunity for chasing storms. After looking a the data the night before, it was clear that the only real opportunity to see storms would be well south- possibly in the Texas Panhandle. Knowing the long distance we’d have to travel, we jumped in the van at 8am and conducted a quick forecast discussion in the van to pinpoint our target. This would prove to be a tough forecast due to the lack of upper level winds throughout all of the Plains. Basically, we were chasing a pocket of winds at the 500mb level. Models suggested a pocket of winds would move across the Texas Panhandle by late afternoon along with a shortwave disturbance. This shortwave would provide the lift needed for initiation. The region was under the influence of a very weak surface low which provided light southwesterly flow across the panhandle. With the dry line set up in eastern New Mexico, this is where initiation of the storms would most likely take place. Taking distance in mind though, I suggested a target just north of Amarillo, Texas. 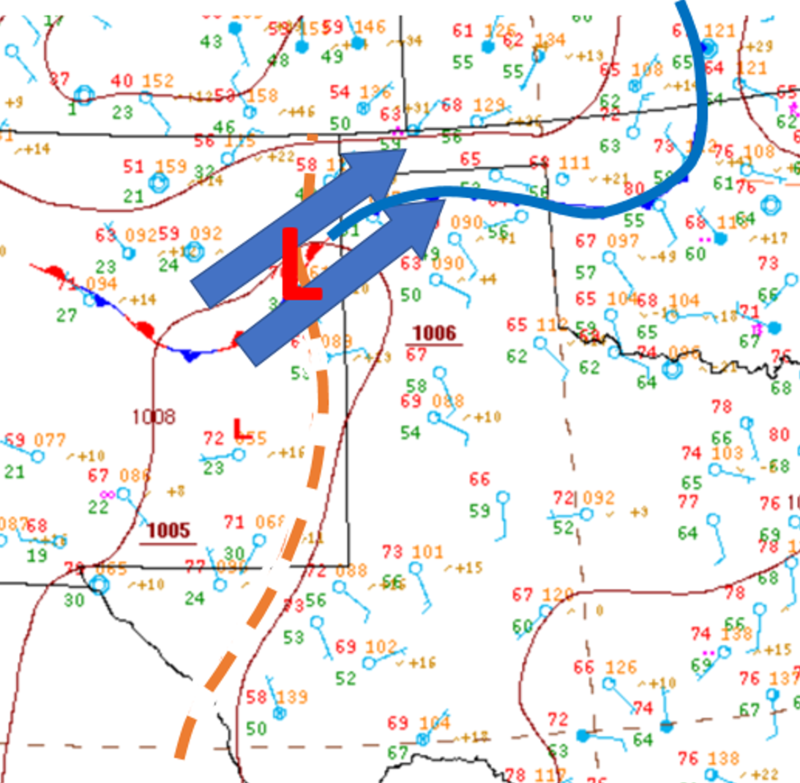 This is where a sort of psuedo-triple point could potentially set up with the low, cold front, and dry line. However, our expectations weren’t too high with all things considered. 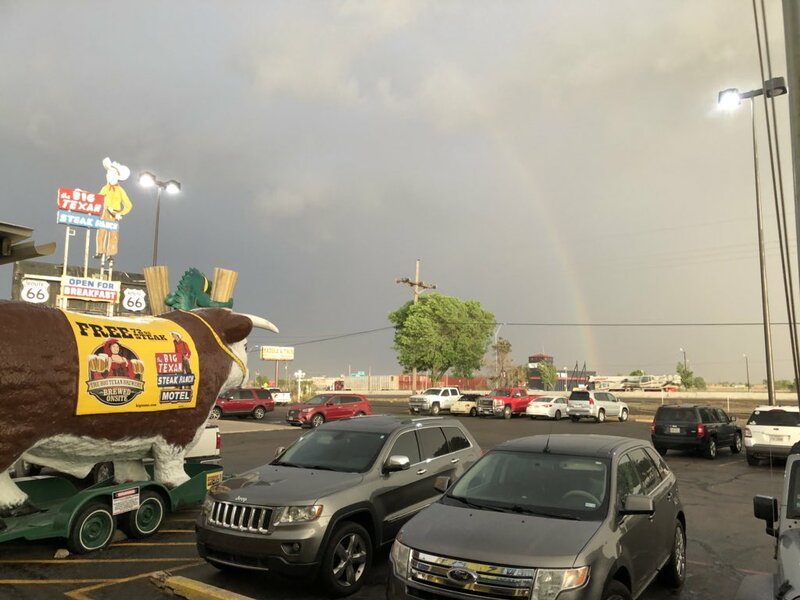 As we reached Amarillo in the mid-afternoon, we decided to head west toward where the storms were developing because waiting would most likely bring messy, multi-cellular storms rather than single cells. This is because of the lack of low-level shear within the area. 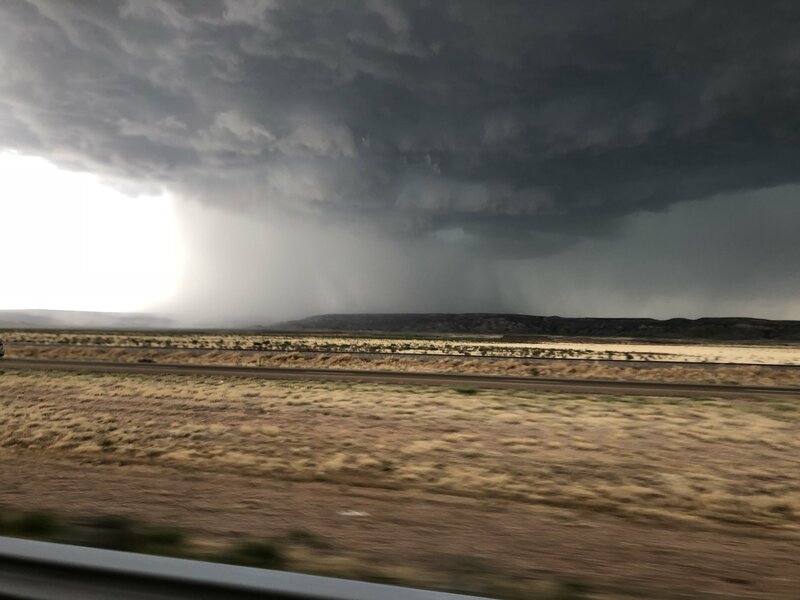 Heading toward the storms proved to be the best decision as we reached a pretty cell just west of Tucumcari, NM. We chased this cell as it headed eastward back toward the Texas Panhandle. We were able to get a few unique views of the storm including from the back side where we could feel the outflow winds. This was the first time for many of us in which we experienced the howling winds associated with the RFD. We also saw many picturesque cloud-to-ground lightning strikes that had many of us in awe. Overall, it was a great day that actually exceeded our expectations. We are looking forward to seeing what else the Plains has in store for us over the next two weeks! This entry was posted in U.S. 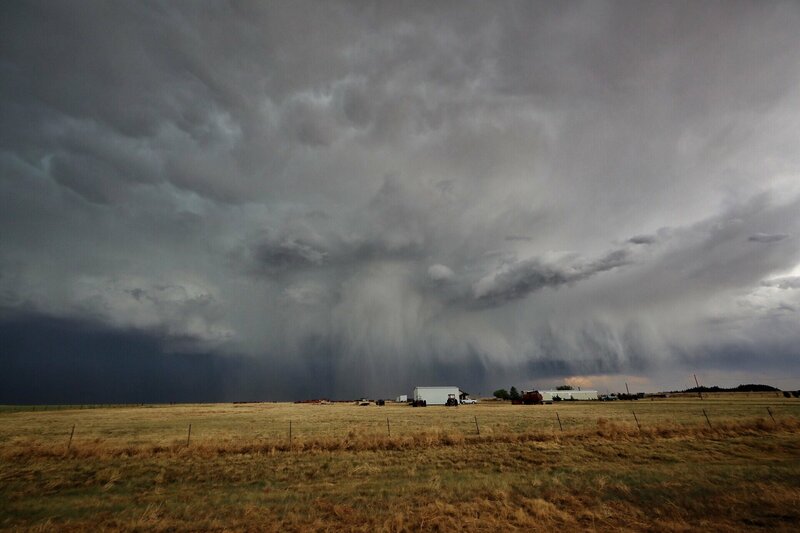 Weather and tagged new mexico, severe weather, Storm Chase, Texas. Bookmark the permalink.